Owner Irene Saul devotes her time to two favorite pleasures: people and fine food. Her restaurant is a labor of love and she takes pride in the fact that everything served is fresh. A native of Fresno, Irene sees her customers as a reflection of the community --warm, caring and friendly. 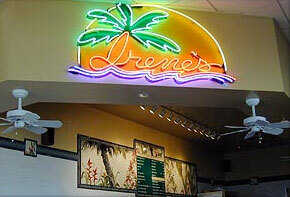 Whether it�s for breakfast, lunch or dinner, you'll find that everyone at Irene's trys to make everyone feel at home. For great sandwiches, you'll get swept away by the Caribbean: A white turkey breast and roast beef sandwich with Jack cheese. Or try the majestic Monaco: A hot pastrami and pepperoni with melted jack cheese, melts in your mouth! And folks rave about the Rio: Hot smoked ham and melted Swiss cheese. If meat isn�t your preference, Irene whips up her own veggie burger patty that is beyond compare! Another vegetarian favorite is the Islander, a delicious sandwich filled with ripe avocado, lettuce, sprouts, artichoke hearts, your choice of cheese and all the extras! Great veggie breakfast options are on the menu, too. The famous Award Winning 9 oz. 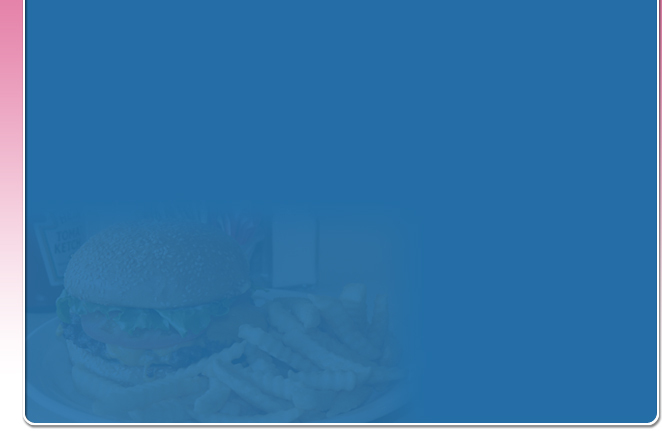 hand made hamburgers are still among the most popular (and filling) items on the menu. The perfect accompaniment to the hamburger is our 1/2 inch crinkle cut fries and a thick Morgan Hill Creamery's ice cream shake. In addition, homemade soups, salads and vegetarian plates can be enjoyed for lunch and dinner. A must try if you like garlic is our Caesar salad. Our dressing is made in house and has a nice garlic bite. 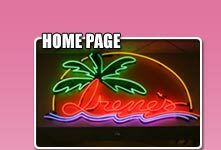 Irene�s offers pancakes, waffles, French toast, bagels, bacon and eggs, vegetarian croissants and a host of other standards daily which are complimented by weekend breakfast specials like blueberry pancakes, eggs benedict and enchilada omelets.